Fiorentina vs Inter Milan predictions ahead of this clash in Serie A on Sunday night. Can Inter extend their winning run? Read on for our match preview and free betting tips. 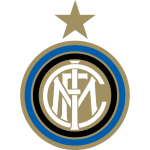 Inter Milan enjoyed more European success in midweek, with a thumping win over Rapid Wien. However, this weekend sees them facing a much tougher task, as they’re on the road to Fiorentina. While the Nerazzurri may be tempted to put Serie A on the backburner as they look towards their Europa League meeting with Eintracht Frankfurt in the last 16, they have to keep their eye on the ball. They have third place in their possession right now, with a four-point lead over AC Milan. Finishing above their city rivals and moving up a place on last season would be a solid finish for Inter, so they need league points. Fiorentina are still in the hunt for a Europa League place, and they sit in eighth after a big win over SPAL last weekend. When la Viola are on form, they’re fantastic to watch, as their 7-1 thumping of Roma proved. However, the hosts are rarely in that kind of form, as shown in their last Serie A home game. They went for a containment approach, and they held Napoli to a 0-0. With Inter just coming back into form, the same style is likely from la Viola this weekend. Inter Milan have come through a poor spell of form, and now they have four straight wins under their belt. They’ve won those clashes without any major input from Mauro Icardi, who is currently causing all kinds of problems for the club’s hierarchy. He’s refusing to play after losing the captaincy, and that could see him sit out here. After four straight wins during Icardi’s tantrum, Luciano Spalletti isn’t likely to entertain the idea of welcoming the forward back into the fold. Obviously, Inter are worse off without Icardi, who has scored 40% of Inter’s away goals this season in Serie A. The forward hasn’t been his usual, high-scoring self this term, but he’s been an important part of Inter’s away form. His last away goal for the club came back in December, since then the Nerazzurri have failed to score more than once on the road in any of their six trips, hitting just four goals in total. The visitors have scored just seven times in their last 10 Serie A fixtures, nine of which have seen under 2.5 goals scored. The Nerazzurri have seen under 2.5 land in their last five trips in Serie A, while they meet a Fiorentina side who have seen three goals or more scored in just 38% of their league games this term. La Viola have scored five times in their eight meetings with Serie A’s top seven, so we’re backing under 2.5 goals in Sunday night’s clash. 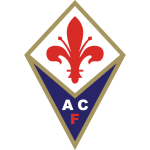 Fiorentina are unbeaten in their last six league games (W2 D4), the last time the Viola recorded a longer such run came back in April last year (eight). Fiorentina have only won one of their last seven home games in Serie A (D4 L2), this after a run of four straight wins at Franchi. Inter have won seven of their last nine games against Tuscan sides in Serie A (D1 L1), finding the net in each match (21 goals scored – 2.3 on average per game). Inter’s Radja Nainggolan – who has netted three Serie A goals against Fiorentina –found the net in his last league game (v Sampdoria). Indeed, the last time the Belgian midfielder scored in two consecutive Serie A games was back in February 2017 (four in a row). Fiorentina are Mauro Icardi’s favourite target in Serie A (11 goals) – the Inter striker has found the net in each of his last five league games against the Viola (9 goals) – the last player to score against a side in more consecutive Serie A games was Gonzalo Higuain, who netted in six straight matches against Lazio between 2013 and 2016.